Solspace has been honored to serve ProPublica as their web development agency since 2008. They are an extremely busy investigative journalism organization with a critical role in our democracy. In these trying times, in this turbulent age, they offer sober perspective, in-depth evidence-based reporting and data-driven investigation. We know that we must work at the speed of their business, staying reliable and flexible and fast—providing consistently excellent results. The tools we choose must do the same. Solspace has been a trusted partner of ProPublica since 2008. We’re trusted because we come through time and time again with great solutions and expert advice, and are always there when they need us but stay out of their way when they don’t. We know our client, and we know this formula works. So when it came time for ProPublica to choose a new CMS to support a new version of their website, based on what we know, we argued for Craft CMS. There’s a reason that even in this modern age of quick fixes and cheap substitute products from all over, quality still counts. People in positions of responsibility generally don’t have the time to manage assets that don’t work properly, and generally aren’t interested in the additional business risks associated with second-rate tools. There are still many situations when the only real solution to a problem is excellence provided by quality craft and years of experience. I was in an ophthalmologist’s office with my wife Regina yesterday. She had something funky going on with her left eye, and it was really bothering her. We were sitting in the doctor’s exam room waiting for him to come in, and I noticed the brand placard on the eye exam instrument that you can find in virtually every eye doctor’s office. You know, that big complicated-looking thing that you put your face into. 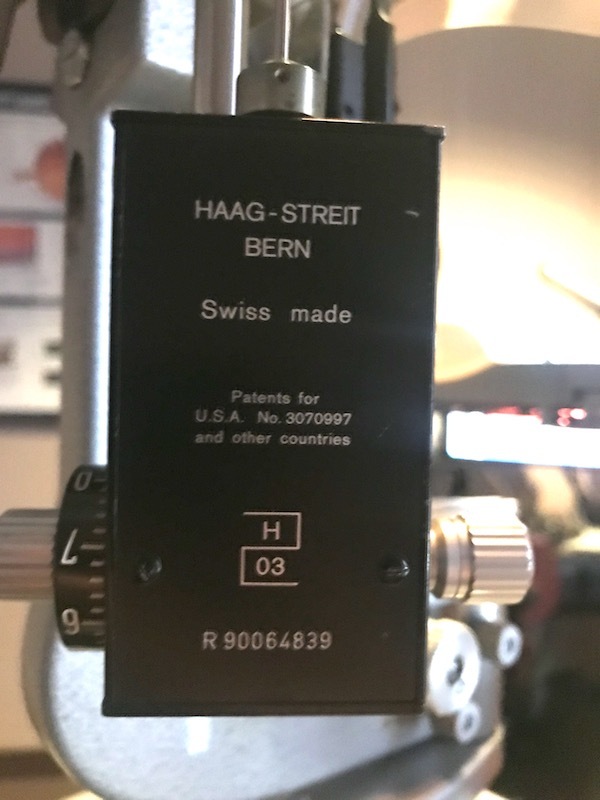 And the placard was marked, “Haag-Streit – Bern.” I looked it up at https://www.haag-streit.com and learned this was a Swiss-made eye exam machine. The company’s website says, “…the traditional Swiss values of quality and reliability have always been at the heart of our organization…” The eye exam machine looked like it was 10 years old - well used, tough, reliable, possibly bullet proof. So my wife is going to put her face in this device, and allow that little pokey thing to sit right up against her eye. Am I glad to know the doctor spent some extra money on “…the traditional Swiss values of quality and reliability…”? Yes I am! I want the measurements to be precise and accurate. I want the thing to not fall over on her, or malfunction and frustrate the doctor so he accidentally pokes my wife in the eye. This is a case where the highest standards of excellence, performance and durability are the only ones that are acceptable. The quality of the tool really matters, so the doctor can be free to do the best possible job, and my wife can stay safe and have a good experience. And it occurred to me, this is true with the work I do as well. 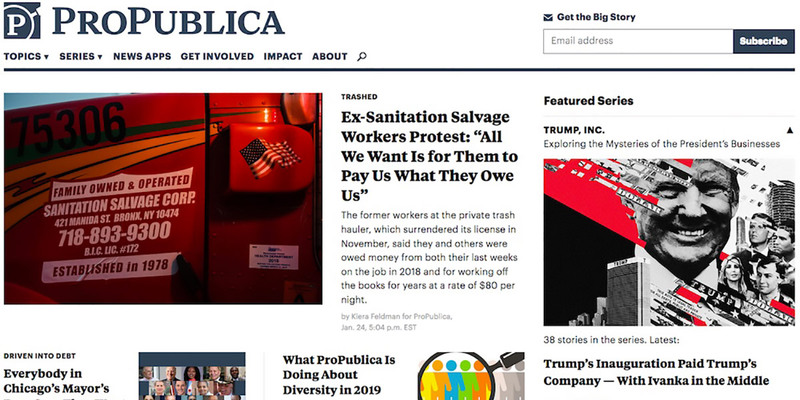 We knew from working with Craft that it provided the right quality of design and construction, and that combined with our expertise it would be the best solution for ProPublica’s new website. It had the core features that they needed, and well-written, well-architected code. It was based on a widely used and stable platform, Yii. It could work well with a CDN and any other website accelerating services ProPublica might want to employ. We also knew from working with ProPublica that the busier they got following the launch of the new site, the more they would need their underlying tools to just do the job accurately every time, so they were out of the way of the user’s experience, and out of the way of the journalism. This was the value proposition we used to push for Craft, and happily ProPublica agreed to use it for the new version of the site. The build and deployment went beautifully. We’re now a full year and a half post-launch of the new propublica.org site on Craft. We hear very few complaints, and as far as we can tell, the things that need to just do their job beautifully and stay out of the way are doing exactly that. The Solspace team feels very smart for recommending Craft as a solution for ProPublica, but we know we owe a big debt of gratitude to our friends and colleagues at Pixel & Tonic for building Craft with such high standards of excellence, quality and craftsmanship. Their product does exactly what it’s supposed to and stays out of our way when we develop customized solutions for our clients. The solutions we build can do exactly what they’re supposed to, while the technology stays out of everyone’s way.